Relemac Technologies is a world leader in both designing and manufacturing of High-Bandwidth Cables and Screened Instrumentation Cables for telecommunications and other industries. Relemac is one of the world's largest Instrumentation Cable Manufacturers and makes available Instrumentation Signal Cables, Solar Cable, PTFE Cables, Overall Screen Cables, Computer Shielded Cables, Multi Core Cable, Screened & Unscreened Instrument Cable and many other types of wiring and cabling. We can provide the best quality Instrumentation Shielded Cables for whatever application you need them for - one of our existing products is probably perfectly suited to whatever you are doing. Cables lie unseen at the bottom of any system, but they are a foundation item for any system. No matter how much you spend on components, bad cabling can bring the entire system down. 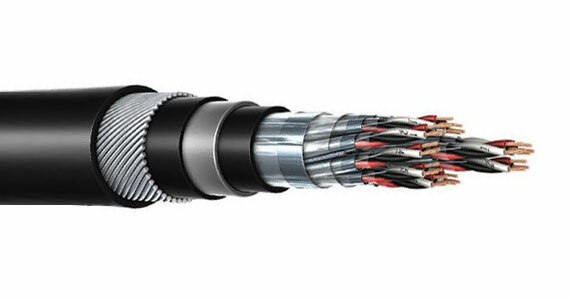 We manufacture top quality shielded cables and wire for any application, including maxi-Termi point connections. Instrumentation cables provide a vital communication link between control software and hardware and the systems that they control, whether it is printers or power switching units. Below you will find information on our Shielded Instrumentation cables; feel free to contact us with any further technical or application questions. Annealed Bare/ uniform coated with Tinned/Silver Platted, High Conductivity, and Electrolytic Grade Solid/Stranded/Flexible Conductor. (Generally manufactured with conductor sizes 0.25/0.5/0.75/1.0/1.5/2.5/4.0 sq. mm, conforming to BS EN 50228,BS: 5308 - (I & II), IEC-189 - (I & II), VDE 0815. These are the most common types of extruded material used in the manufacture of Instrumentation cables. ii) As Per IEC, ITD or number Printing. iii) As Per Customers Scheme. • By printing a reference code on one insulated conductor, or both of them, that indicates the number of that single pair. • By a numbered non - hygroscopic tape applied over the pair. • By using different colour combinations to uniquely identify the pair. In cables which make up a pair, triad or quad core wires are uniformly twisted together. Maximum lay length determined by customer needs and minimum crosstalk requirements is up to 80mm . If required, Individual Shielding may be of Poly Aluminum [Thin Layer of Aluminum Foil bonded to Polyester Film] Tape with Annealed Tinned Copper Drain Wire. It prevents the shorting of adjacent shield and minimizes the cross talk and ground loops. A Tinned Copper drain Wire is installed to provide continuous contact with the shield and allow for connection to ground. Tinning the drain wire reduces galvanic corrosion between drain and shield. Pairs/Triads/Quads are laid up with suitable lay. The outer most layers are right hand lay and successive layers are laid up with opposite lay. Then, a Melinex Tape is provided to bind up laid up Pair/Triad/Quad. Overall shielded cable constructions are recommended for use in Instrumentation computer and control application where signals are transmitted in excess of 100 Mili volts except in areas where high voltage and current sources create excessive noise interference. If required, Overall l Shielding may be of Annealed Tinned Copper Braiding/Poly Aluminum [Thin Layer of Aluminum Foil bonded to Polyester Film] Tape with Annealed Tinned Copper Drain Wire. Braiding ATC Shield has high tensile Strength and provides better coverage in flexing application. They are easier to terminate. This provides effective shielding; cross talk and noise are kept to an absolute minimum. The laid up pair/triad/quad after shielding are provided with an inner sheath, which may be either Extruded Inner Sheath or wrap with PVC Tape. It is applied over inner Sheath. It may consist of galvanized Round Steel wires or galvanized Flat Steel Strips. Steel wire armoured cables are suitable for direct burial. One or more copper wires can be incorporated in the armour to increase the conductivity of the Armour where it is being used as an earth return. To simplify jacket removal, high tensile strength nylon Rip Cord is provided over laid up of pairs/triads/quads below the outer sheath in case of Unarmoured cable or below the Inner Sheath in case of armoured Cable. Relemac Technologies has designed and implemented new generation technologies into our Signal cables and wires; we have set the standards for quality in shielded cables, and will work with you for any specific products you might need that we do not already manufacture.All our cables are crafted with the best possible materials and go through stringent quality assurance procedures - Relemac Technologies have built the best cables in the industry since our inception in 1993. It is our goal to build the best shielding into the best cables, wires and cabling systems that we can. Call us today to discuss your specific cable needs.